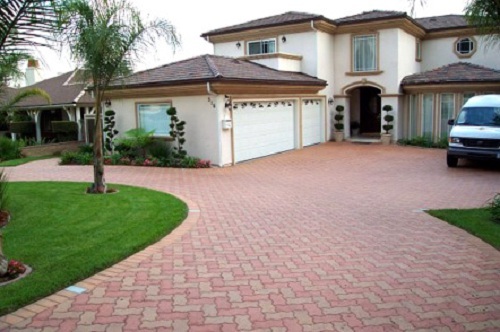 Interlocking concrete Pavers are also called Segmental Pavers. This special type of of pavers have emerged in the United States over the last few decades. Earlier, brick, clay or concrete was used for paving. These conventional materials used for paving have been replaced by the Interlocking pavers. If we are to study history, we will see that Segmental pavers have been used since Roman times for thousands of years ago. Romans used Segmental pavers to build roads. In the mid 1940s, pavers began to be produced out of concrete. The use of interlocking pavers happened for a reason. Holland lies below sea level because of which the ground in Holland shifts, moves and sinks. This made it clear to the designers that they needed the roads to be made flexible which would help in preventing the cracking of roads. In this case, if poured concrete was to be used, its rigid nature would not be able to take the movement of the ground and would result in cracking of the roads. It was also noticed that the concrete pavers when laid in sand performed much better than the concrete pavers laid in concrete. Since the evolution of concrete pavers took place in Holland, they were called as Holland Stones. The size of the concrete pavers was 4”x8” and was shaped just like a brick.